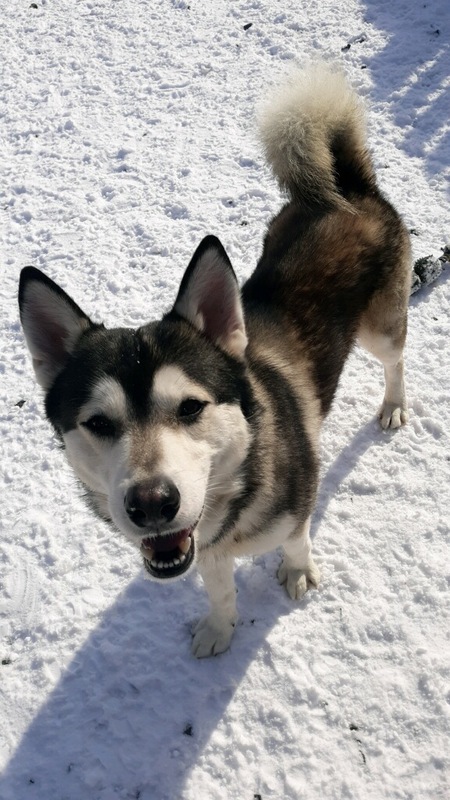 Nanook is a gorgeous black and white husky with brown eyes who came to us by way of a local shelter. He is shy when meeting people for the first time but warms up quickly and then just wants to melt into you for hugs and kisses! He is looking for a furever family that can help teach him some basic manners. He plays well with most other dogs but doesn’t prefer dominant male dogs.